Hiking trail going up to the summit of Mt Rose, near Lake Tahoe, Nevada. 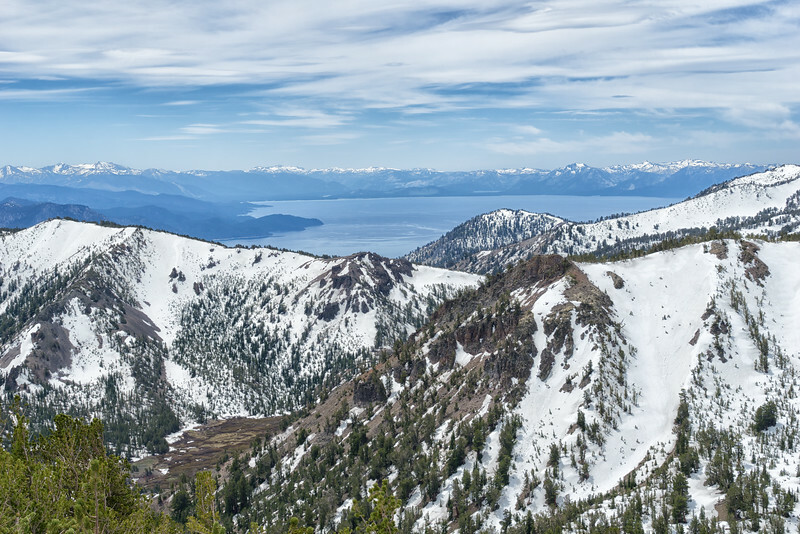 Looking south from Mt Rose Summit. 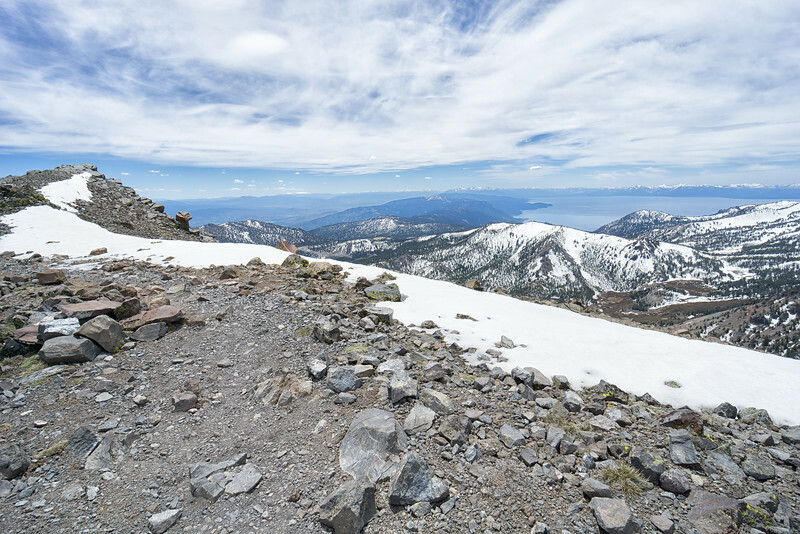 Looking over the trail to Lake Tahoe, from Mt Rose. 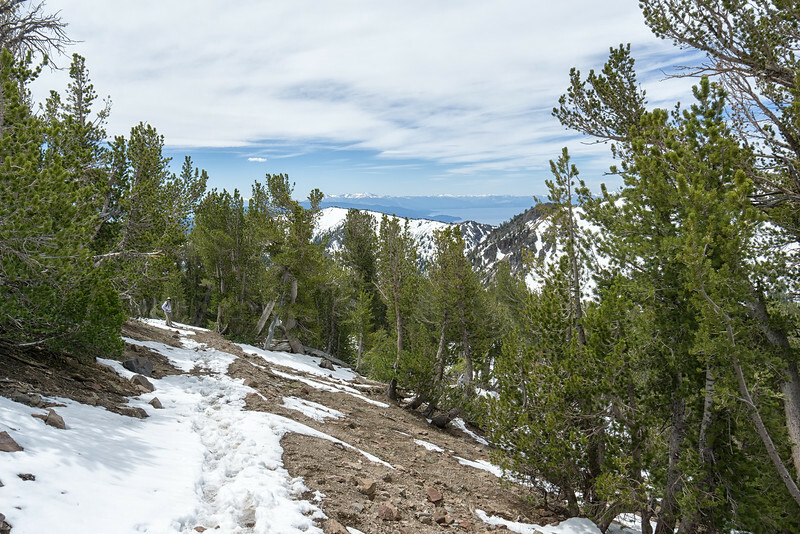 The trail winding around the west side of Mt Rose, looking back towards Lake Tahoe. 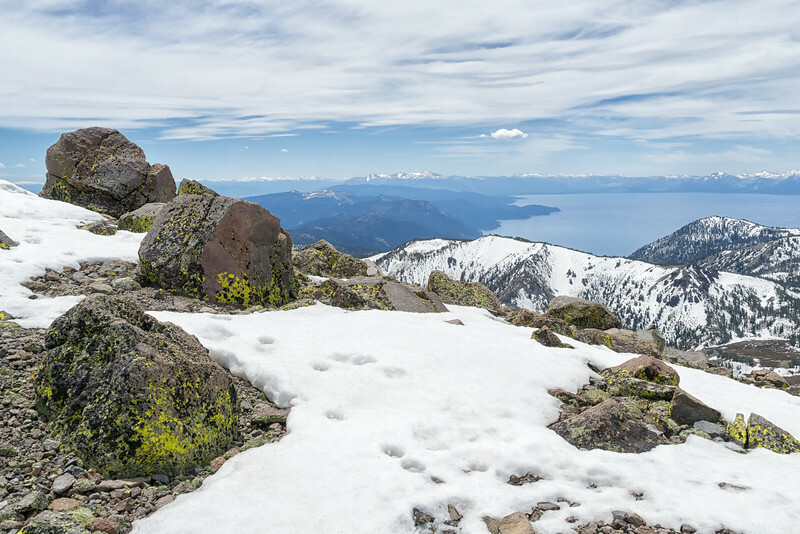 Snowfield on the Mt Rose Summit trail, upon entering the boundary for the Mount Rose Wilderness. 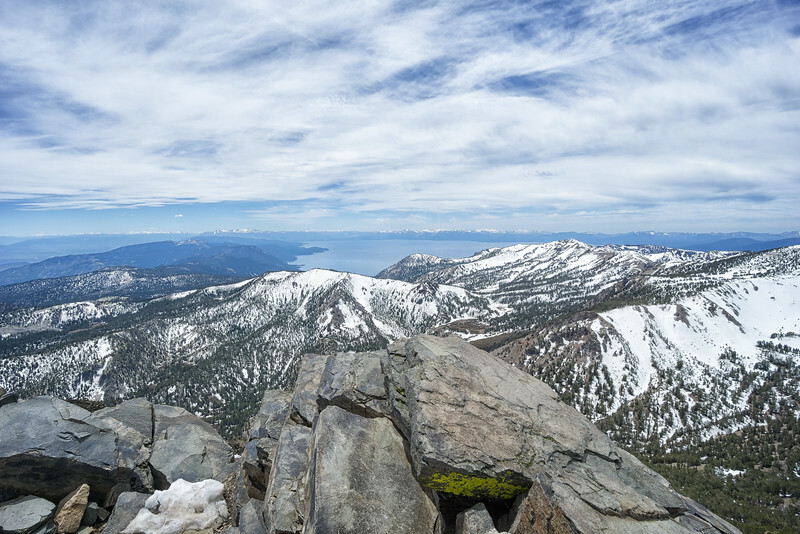 Looking northwest from Mt Rose Summit. 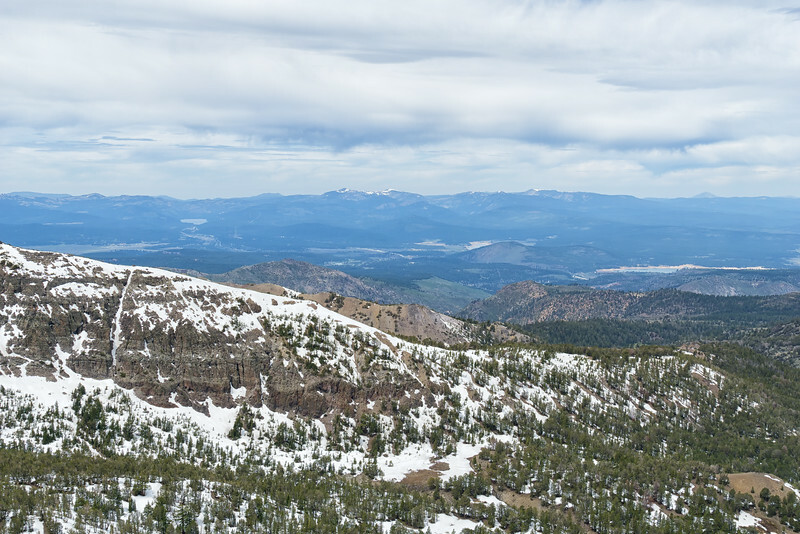 Donner Lake is distant to the left, Boca Reservoir to the right and Prosser Reservoir left of that. 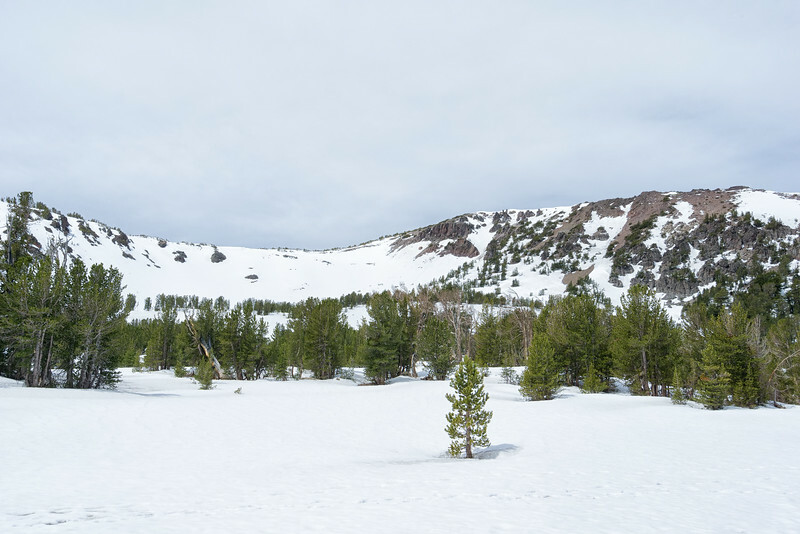 Mt Lassen is visible in the distance above Boca Reservoir. 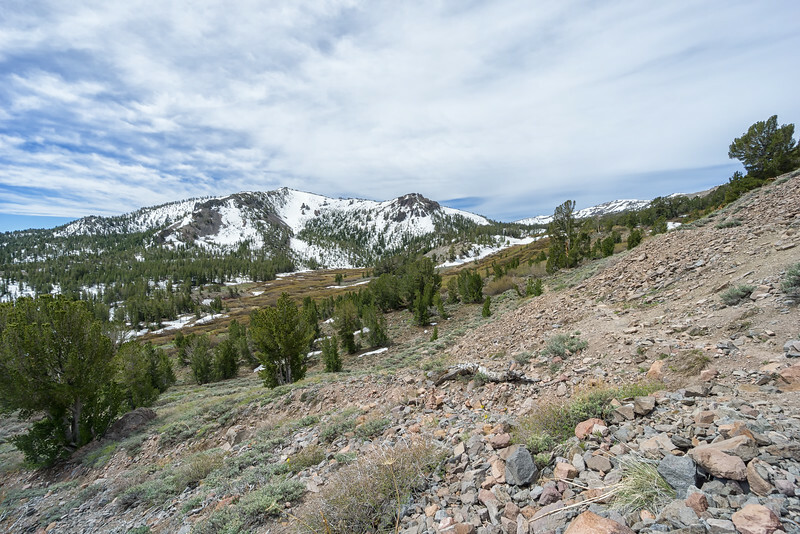 The Mt Rose Summit trail, looking back towards the waterfall just before the beginning of the climb. 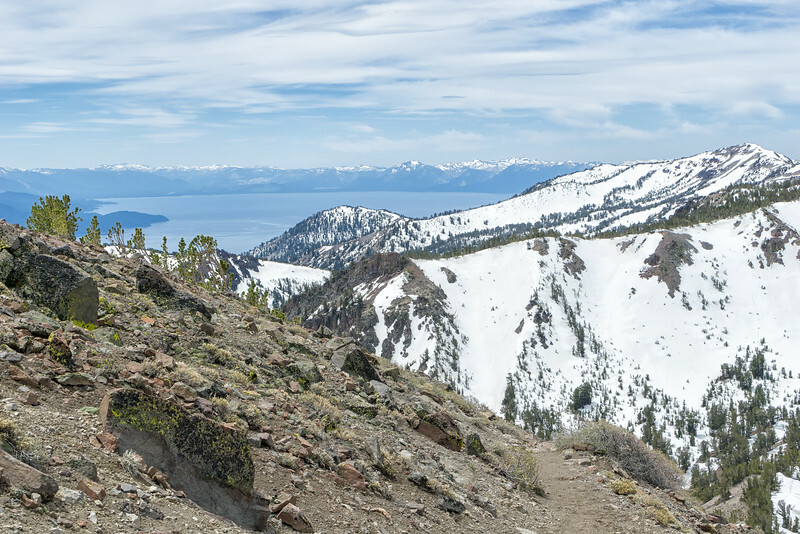 First views of Lake Tahoe on the switchbacks heading up to Mt Rose Summit. The ridge on the top of Mt Rose. 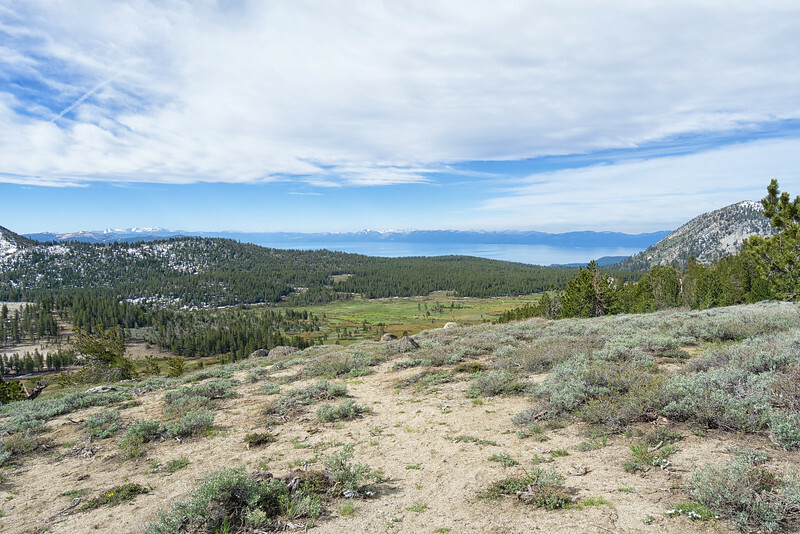 Overlooking Tahoe Meadows and beyond to Lake Tahoe at the beginning of the Mt Rose Summit trail. 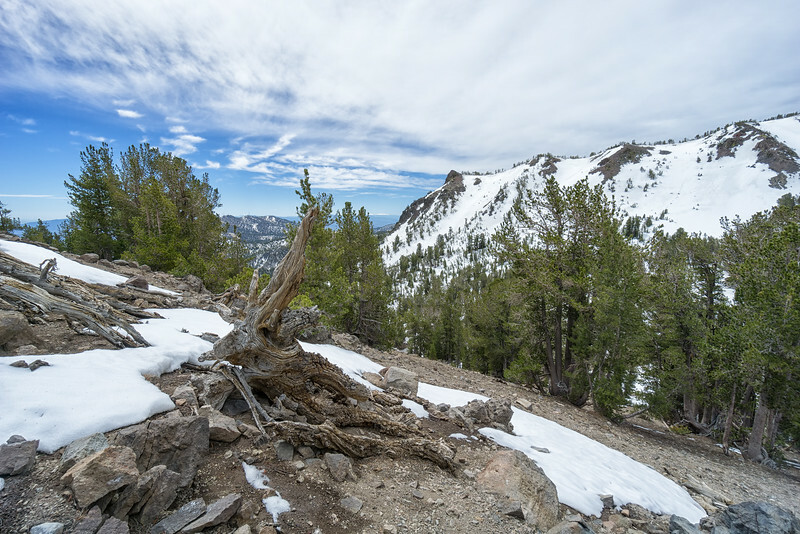 Looking south towards Tamarack Peak from the Mt Rose Summit trail. 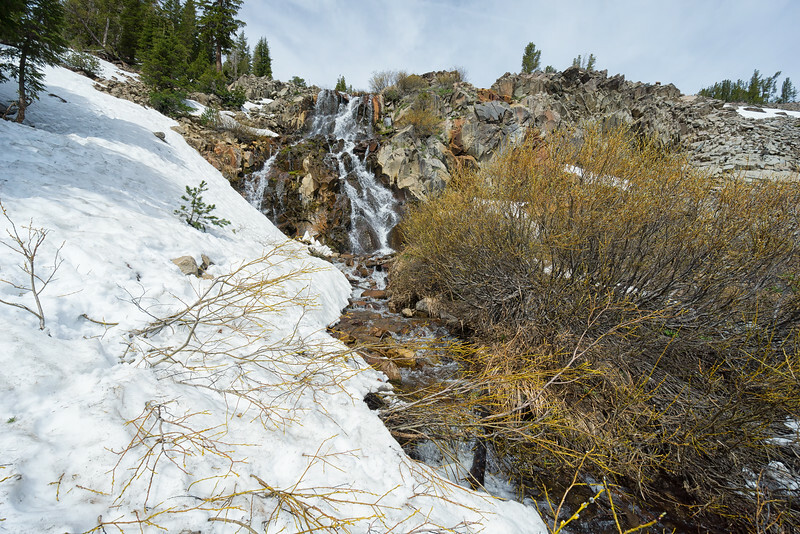 The Mt Rose waterfall, two and a half miles into the trail to the summit. 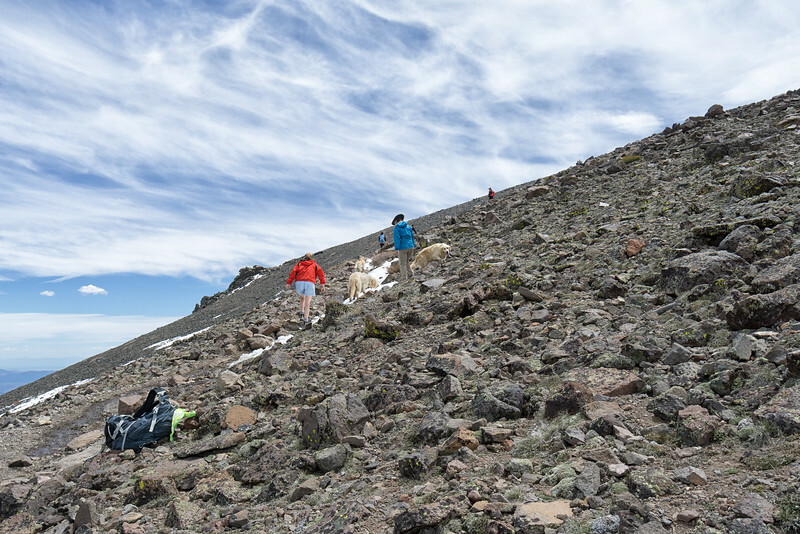 The final stretch up to the top of Mt Rose.